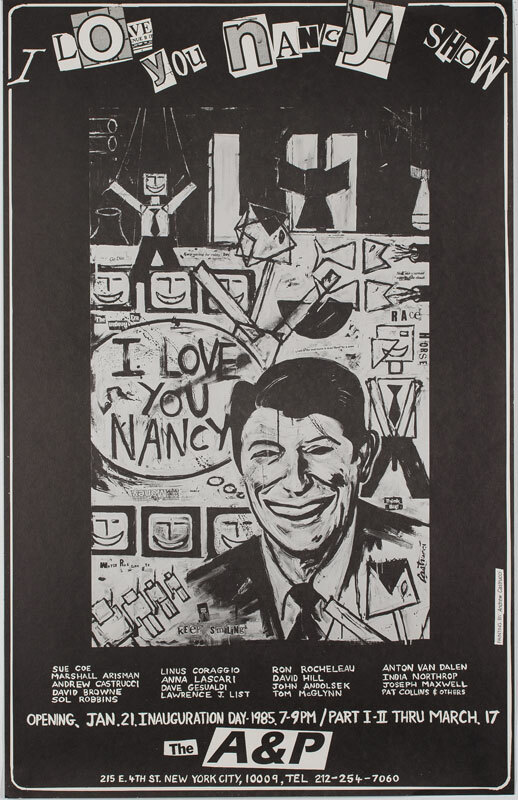 Andrew Castrucci, “I Love You, Nancy,” 1985, offset print, 16″ x 24″, signed by artist. A&P Gallery’s group exhibition coincided with the second inauguration of President Ronald Reagan. The exhibition (whose name alluded to First Lady Nancy Reagan) included work by Sue Coe, Andrew Castrucci, Anton van Dalen, India Northrop, Linus Coraggio, Tom McGlynn, and others.